James Earl Carter, Jr. (Jimmy) Carter was a liberal Georgia politician who entered the White House in 1977, inheriting a severe economic recession from Presidents Nixon and Ford, then leading the country through an energy crisis, which included gasoline shortages. Added to the president’s problems was the Iran hostage crisis, which began on November 4, 1979, and did not end until Carter left office. 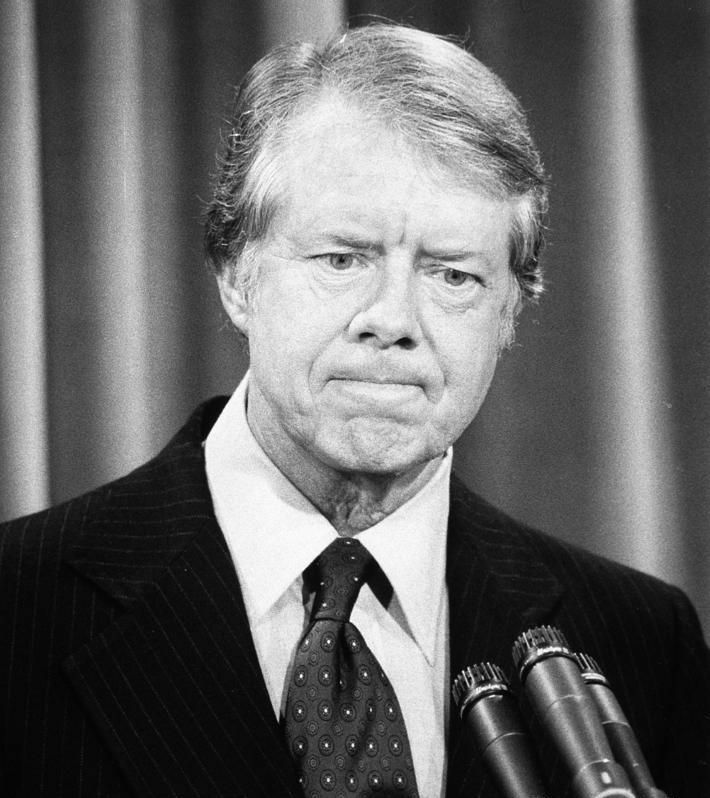 Despite such foreign affairs triumphs as brokering the Camp David Accords, which brought peace between Israel and Egypt, and an array of domestic initiatives, Carter’s presidency was widely perceived as a failure, and he was not elected to a second term, losing to Ronald Reagan in a landslide vote in 1980. After leaving office, he began working on behalf of human rights and other causes. His diplomatic efforts earned him the Nobel Prize for Peace in 2002.